If you are an outdoor person, you know that nature is unpredictable, and it’s best to be prepared for any situation. Carrying an emergency kit can make a difference, and especially if you’re hiking in colder environments and high altitudes, carrying the best emergency blanket is probably the most important thing you can do to prevent heat loss while waiting for better weather conditions. 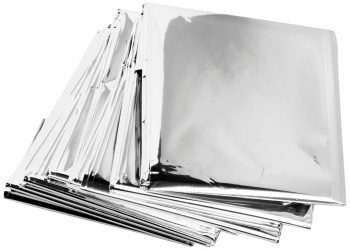 Camping blankets, also known as emergency blankets, Mylar blankets, or space blankets are used in many ways and for a lot of activities. For instance, this type of blanket was used for the first time in the 70s by NASA specialists to cool the Skylab space station when it started overheating on orbit. 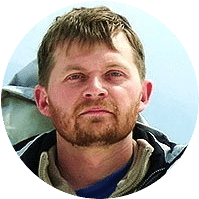 Expeditions and adventures in nature involve risks such as low temperatures and without such a blanket you may not have a chance at survival. Now, each product supports a certain type of extra features, but it’s the basic ones that matter the most. After all, this blanket is designed to keep your body temperature stable under stressful conditions. So, let’s see the features necessary with such a blanket. It’s not as easy as you might think to choose an emergency blanket, because it can be the means to keep you alive in a situation where cold is present. When buying emergency equipment you should make an informed decision to make the best pick, and that’s why we’re going to discuss the most important features you should have in mind when shopping for your emergency blanket. 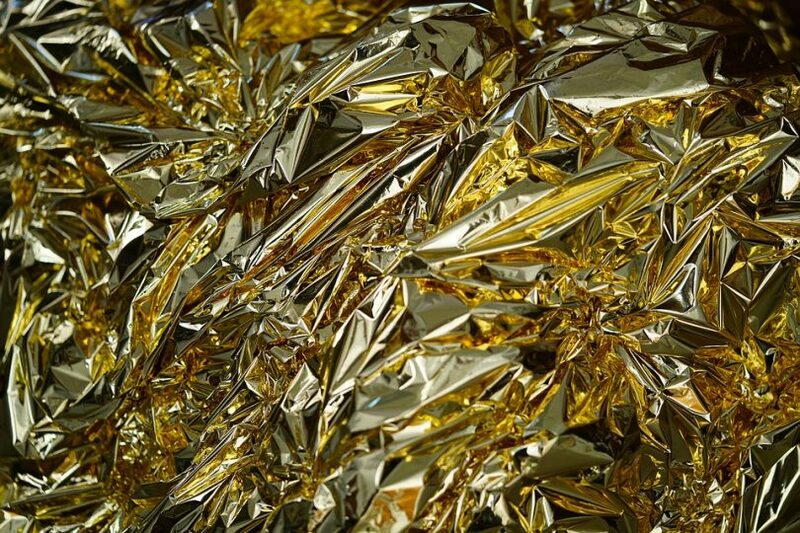 The way survival blankets work is by reflecting heat. By doing this it can save up to 90% of the human heat for several days. Additionally, it is impermeable and water and dust resistant. It is cheap and lightweight, and it can cover an adult person including the head. It should be used in harsh climate conditions to save body heat. It can also be used as a tent under hot sun, because it reflects 100% of the light. 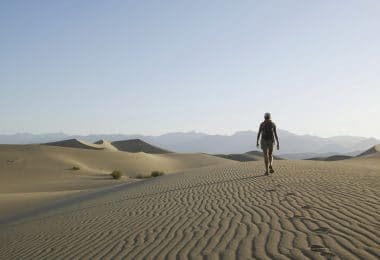 However, you shouldn’t cover yourself when in hot conditions because it may cause overheating. There are emergency blankets of all sorts – from one-use-only, to blankets that won’t tear no matter what. Even though they are very thin, some emergency blankets can be very durable and can be used to build a tent, using a string and some sticks. Thanks to their quality of reflecting heat, this shelter will be a warm one. One good example is using an emergency blanket to cool off your car during very hot days. 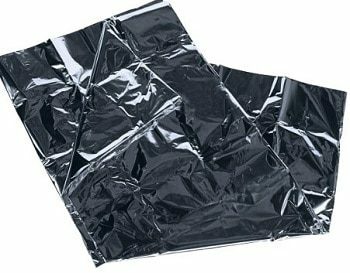 When your car gets overheated, you can stretch the space blanket on the windscreen of your car with the glossy part outside and you can protect your car from extreme temperatures. At the same time, another feature that makes these blankets very useful is their wind resistance and waterproofing. When they are used as a shelter, camping blankets are an excellent way to protect you from the rain and the wind. The attribute of reflecting the light is just as important as the other features of these beds. Thus, if you find yourself in an isolated place and you think that you’re lost, you can use one of these beds as a survival signal. 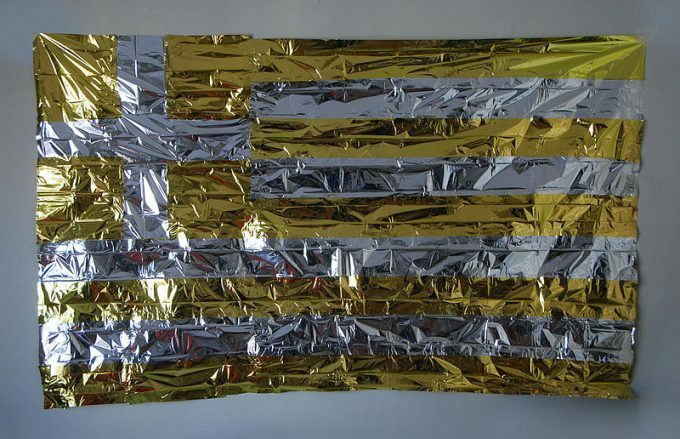 Because they reflect very well the sunlight, space blankets can be seen from great distances. Also, their low weight is a feature that many people appreciate. The fact that they are lightweight helps you to transport them easily. For instance, when going on a camping trip, you can pack several of these blankets without even feeling the extra weight. Generally, camping blankets are large enough to cover an adult person in the case of an emergency. In addition, their length and width are reasonable in lots of other situations like: protecting walls or windows, building a shelter, protecting the body from moisture and coldness of the ground and more. As you can see, there are plenty of uses for camping blankets. At the same time, they are used in various fields with plenty of goals. 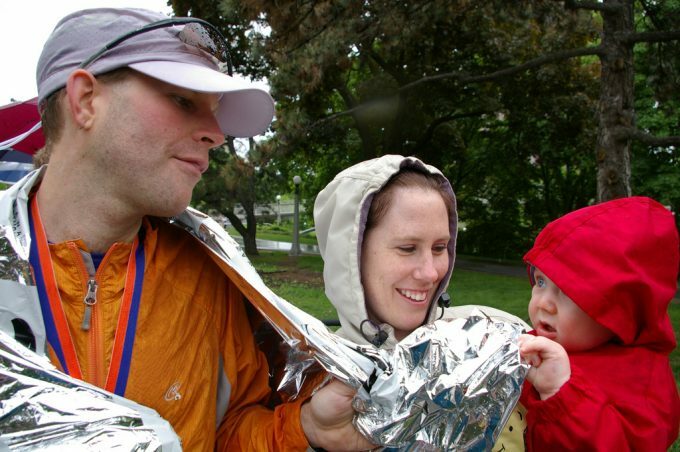 For example, marathon runners use them at the finish line to adjust their body temperature – when they stop, their temperature drops suddenly. In hospitals, emergency blankets are extremely useful for patients to help keep their body temperature constant in various critical situations. For people who love wilderness, they are great because they can be used for various purposes, from warming up the body to producing a fire. In order to find the best emergency blanket, you can take a look at some of the products presented below. Here you can compare a few camping blankets in terms of dimensions, weight, thickness and some other features that might catch your interest. Description: As you can notice from the title, the UST Survival Blanket is made mainly for survival purposes. It can be used to keep an optimal temperature of the body during the cold nights, as a good shelter or as a rescue signal. Of course, it also can be used for other purposes, such as walls or windows isolation. This blanket is great for those who love wilderness. For somebody who intend to start a wonderful adventure, it is the perfect thing to take. It is a lightweight blanket which won’t occupy too much space in your luggage. During the cold nights, you can use it successfully because it is able to reflect up to 90 percent of your body heat. Because of that, costumers are very satisfied with it. Also, it is amazing if you think to build a shelter because it is wind-resistant and waterproof. 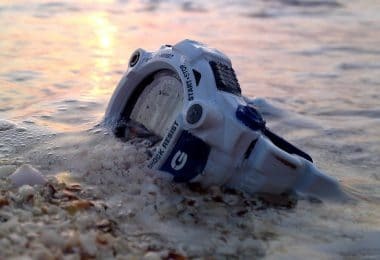 At the same time, if you have problems with finding the right way or you need to be rescued from a dangerous place, it will certainly help you because it has a large reflective surface and it can become a very good rescue signal. On the other hand, this blanket is very useful in other situations such as in your house, to isolate the walls during low temperatures or for your car to protect it from overheating. It can be used also for protecting animal houses in bad weather. To sum it up, this blanket is a high-quality emergency blanket and is very useful for all your outdoor and survival needs. It is considered as the number one blanket and a trusted name in survival. It is wind and waterproof and can be used for emergency signaling with its high visibility reflective surface. It is also lightweight and compact when folded. Related: Stay comfortable and well rested at night with your blanket while lying in your Ablevel Outdoor Sport Hammock at night. Description: The American Recreation Products 50330 Blanket can be very well used in emergency situations, in order to prevent hypothermia. Costumers noticed that when used, it helps the body stay warm and this is why it is perfect in winter or in any other conditions of bad weather. The blanket is quite versatile and can be used in cold weather or in emergencies. For somebody who is in shock or needs to be protected against low temperatures, it is a very good choice. Just like the one we mentioned above, this blanket may be the proper solution for indoor situations. For instance, costumers were satisfied using these blankets as curtains for doors or windows, in order to protect the house from low temperatures. However, some of the customers noticed this blanket is quite thin, so it might affect its durability. Still, for somebody who wants a compact emergency blanket, easy to carry and helpful in many situations such as body heating, rescue signal or isolating the house, this is the right choice. It is made of aluminum laminated polyethylene that reflects your body heat and keeps user warm. It can be folded into a pocket size hence easier to transport and carry and is waterproof. This serves as any campers’ emergency blanket and can be used as a protection against low temperatures especially at night. Related: This blanket can keep your body warm while indoors but you can add more warmth by wearing an OZERO Sensitive Touch Screen Gloves. 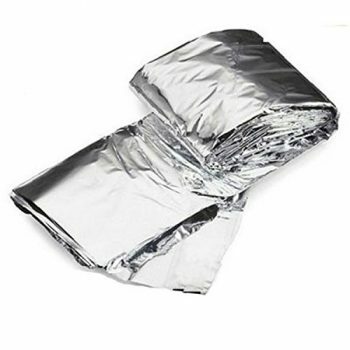 Description: The Science Purchase Emergency Mylar Blankets are some of the best camping blankets. Starting from protecting your body from cold and reaching to building a nice shelter for animals during winter, this kind of blanket is very appreciated by costumers. Some of them prefer to use it in their homes to wrap themselves in it or to cover the walls in order to obtain a better thermal isolation for their houses. 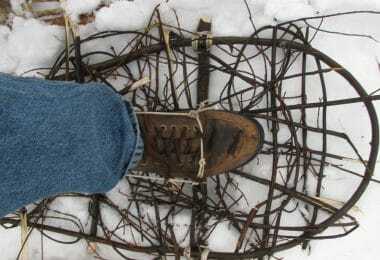 In terms of outdoors, it could be better used as a signal for rescue or for keeping you warm in bad weather conditions. However, it couldn’t be used if the temperatures are very low or for hypodermic problems because it is quite thin. When it comes to indoors, there are a lot of uses for it! 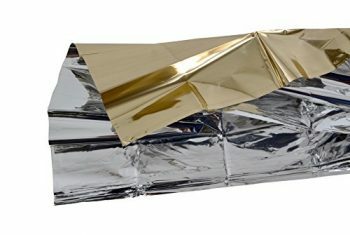 At the same time, this Mylar blanket is considered proper for reflecting the light. For instance, some people use it to line the grow room. Of course, the same feature makes it a great rescue signal if you get lost. The downside is in the thickness and the general size – some users consider it to be too thin and small for an outdoor situation. Of course, when facing with extremely low temperatures it is recommended to use more than just one of these survival blankets in order to get warm. It provides emergency protection in all weather conditions while retaining or reflecting back 90% of body heat to keep you warm. 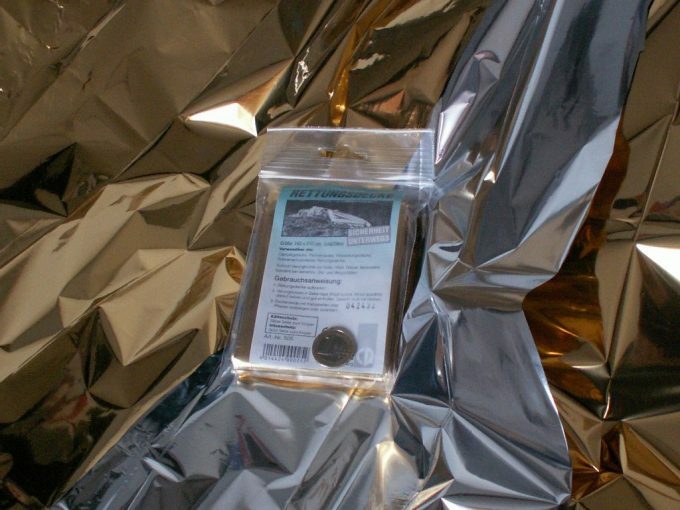 It is made of durable insulating Mylar material designed by NASA for space exploration, is water and windproof and is reusable. 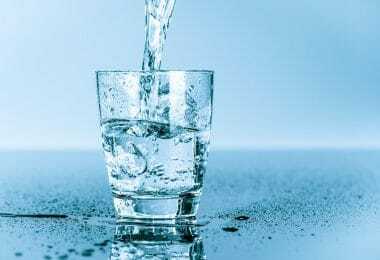 Related: If you are in a survival situation for longer, you will probably need clean water to drink. If you are preparing by purchasing emergency blanket, consider buying the Aquatabs AQT100 Water Purification Tablets. They can fit anywhere in your backpack since they are so small and lightweight. Description: The Primacare FB-6831 Blanket is very good in all kind of survival situations. 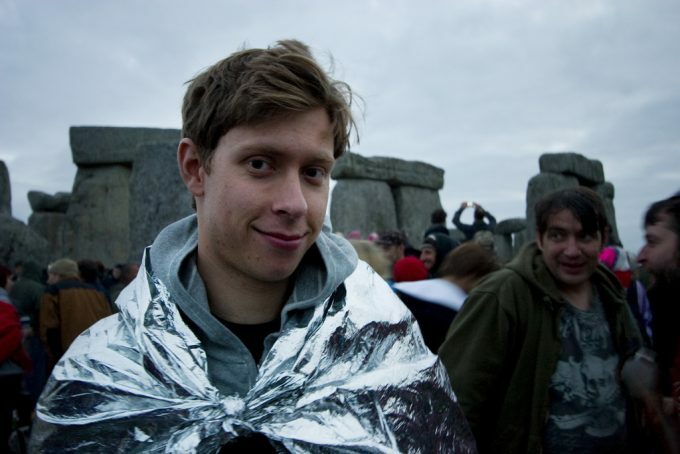 If you need to stay warm in awful weather conditions, then you just should use the silver blanket which is able to reflect your body heat. In other terms, if you need to drop your body temperature, the gold blanket is the best one. This blanket can be used both for cold and for heat and this makes it a must-have for every season. The blanket is also large enough to provide a useful covering surface which is very good in case an adult will need it. 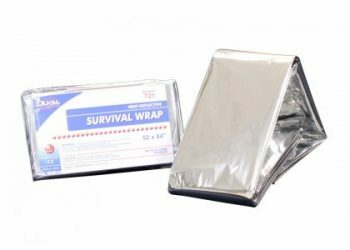 For somebody who wants to use it for a survival experience, it is highly recommended because it is useful in many ways: as a blanket, as material to build shelter, or as a signal for rescue. Its water and wind proofing feature work very well in bad weather conditions. It reflects 90% of body heat and is lightweight so that it can be easily transported. It reduces heat loss through convection, thermal radiation, and evaporation. It is very compact and lightweight, suitable for first aid kits and backpacking. It is also waterproof and windproof to help protect against bad weather. It measures 62″ x 82″ to provide proper coverage for one adult. 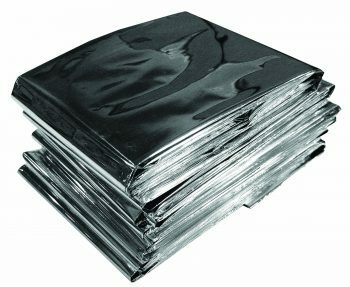 The silver blanket used for cold and the gold one for heat so regardless of the weather, this blanket can be used. Related: Pack your blanket along with a Kingcamp Compact Folding Camping Tent to keep your outdoor nights warmer and more comfortable. Description: This blanket is appreciated more for its indoor uses, such as for covering the walls of animal houses or for reflecting the sunlight for plants. However, it is also good to take with you during your trips for protecting you against unfriendly weather. The Viskey Emergency Blanket is preferred due to its large-sized surface which can be used in many instances. Combine with that the basic feature of keeping you warm and you get a fantastic emergency blanket that can be used even by a large adult. Another important quality is the fact that it is wind-resistant and waterproof, so you can use it to build a shelter in the case you are caught in bad weather. Also, it is reusable which it’s a great thing since you will be able to use it in many circumstances. It is made of PET film and coating material making it suitable for field exploration, tourism, investigation, and disasters. It provides emergency protection in any weather conditions and reflects back 90% of body heat. This blanket is reusable, windproof and waterproof and is very easy to clean up. It is also lightweight and compact hence very easy to carry. Related: Don’t let the cold bother you with your blanket on as you keep your back more comfortable while lying on a Coleman Converta Cot. Description: This type of survival blanket is made mostly for emergency situations. Due to the fact that it is very lightweight, it can be carried without problems into your backpack and you just won’t feel it is there. It can be used in extreme weather conditions, as a blanket or as a shelter. It works very well as a rescue signal, too. The Dukal Heat Reflective Emergency has all the necessary features that are expected from a blanket of this kind. It can protect you even in the lowest temperatures because it reflects body heat in great proportions. Costumers also appreciate it for being lightweight and small, so that it can be easily transported. It is very useful in emergency situations, when somebody has a temperature shock, as well as in bad weather conditions, as a blanket or as an extra layer of insulation for the sleeping bag. Also, the price is quite great for the benefits it brings. This blanket can prevent hypothermic reaction even at the lowest temperatures as it retains up to 90% of your body heat when used. It is waterproof to protect from rain and it can protect from the sun’s heat. It can also be used as a signal for rescue, thanks to the shiny side, lightweight and reusable. Related: The North Face Jester Backpack comes with different pockets so you can choose one to put your folded Heat Reflective Emergency Blanket / Survival Blanket for easier access when needed. As you can see, there are different types of camping blankets and each of them can be useful in a wide range of situations. Most of them are designed for survival cases, mainly to reflect the body heat but, in time, people discovered a multitude of uses for these objects – some of them very inventive. Thus, survival blankets can be used for insulating pets’ houses or for reflecting the sunlight for plants. Many people think they are useful as a blanket in their homes because they are lighter than other blankets and provide great warmth. The best part is that you can buy them in packages and you can actually take 5 or 6 with you and you won’t even notice they’re in your backpack! They are lightweight and don’t occupy much space, but in time of need you will understand why it’s so important to have one. So, what do you think about these products? Do you have any product you think deserves its place in this list? Let us know your thoughts in the comment section below!